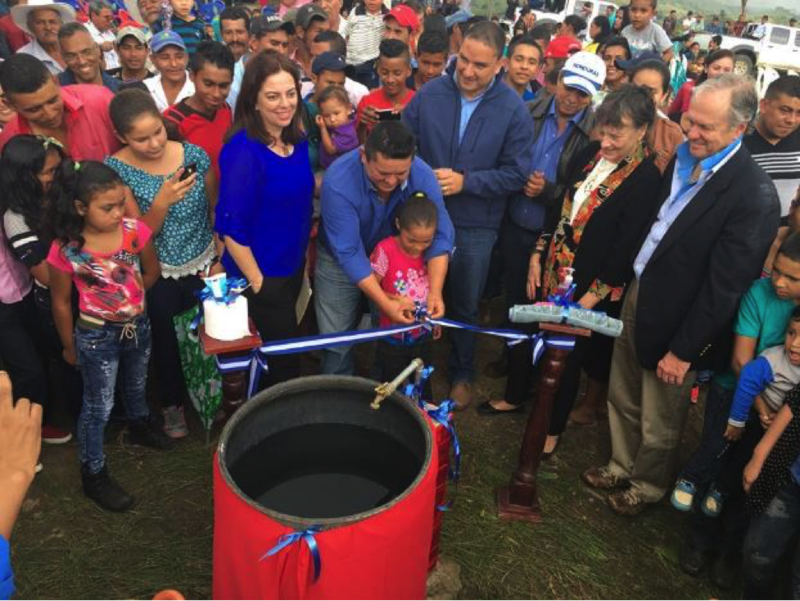 Honduras agencies and authorities (SANAA, BID, AECID) and Pure Water for the World inaugurated the Water, Hygiene and Sanitation Project in Trojes, El Paraíso by celebrating with an uplifting opening event on January 18, 2017. It was a dream come true; the people worked hard to make it true. 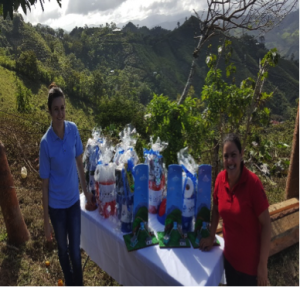 The joint project, which includes Drinking WAter, Hygiene and Sanitation (WASH), was implemented by Pure Water for the World and supported by the local Trojes Municipality as part of the Rural Water and Sanitation Program, which is financed by the Government of Spain through the IDB. The completed project benefits 577 people with 128 home water connections and 128 washable toilets, as well as three school water and sanitary modules. 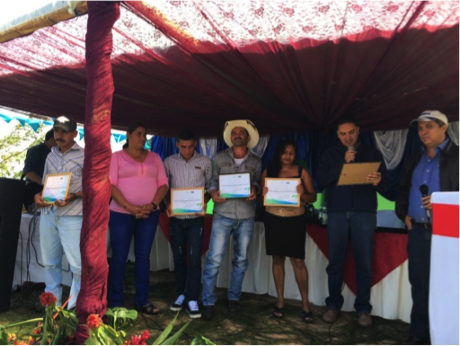 In addition, three managing Water Boards were organized, trained and obtained their legal status, at local and central level. Hygiene and environmental education was provided to all members of the three communities. Pure Water for the World, in association with the people of the communities, came together and worked very hard for almost eight months, to construct the safe water system and sanitation infrastructure. Prior to this project, there was extreme scarceness of water. Women and children had to walk long distances to collect water for their families and hide behind the bushes to conduct their necessities. Now they can drink water directly from the tap and use their own sanitation facilities. The drinking water system consists of an intake box, central pipeline and its branches to the different communities, as well as a flow distribution box, storage tanks with their hypochlorinators, lines and distribution networks, and household connections. And, they will be the first communities in Trojes to have micrometers soon. To carry out the construction of the system, it was necessary to organize and train the the communities. The Administrative Board of Drinking Water and Sanitation was constituted for each one of them, with its Committees of Support: Basic Sanitation Committee and Education, Microshed Committee, Operation and Maintenance Committee, and School Hygiene Committee. According to the Director of SANAA/IDB this project was unique. 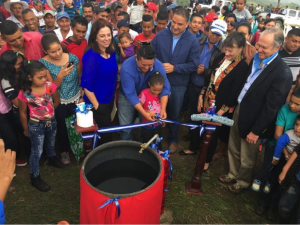 He said, “Of all the projects we inaugurated, yours could really be the most challenging and rural disperse I have seen.” As an example of how spread apart the homes are, two kilometers of pipe from the tank to the first house were needed. Even though it was challenging in many ways, it has been a very successful and life-changing experience for all involved, and it changed many lives for the best. Join us in Honduras this summer! Click here to learn how. 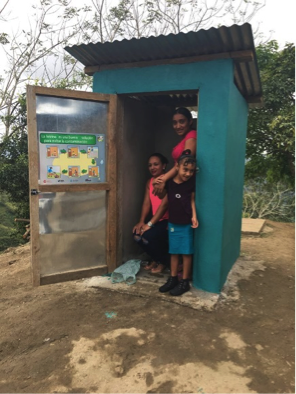 Family in their new latrine. Karla and Margie handing out school hygiene kits. Water board of Quebrada de Oro and the SANAA/IDB Director, Oscar Membreño, and Regional SANAA, Alexis Montes. PWW team that made it possible. WASH Success Stories #BBQ, Community, Honduras, Hygiene education, latrines, safe water, sanitation, Travel, WASH, water. permalink.